Sleep Apnea is a condition that causes you to stop breathing while you sleep, often hundreds of times every night. While millions of Americans suffer from sleep apnea, the condition often goes undiagnosed, leading to even greater health problems as they get older. If you think you may be suffering from sleep apnea, you should seek medical attention at once. Although it mostly affects the respiratory system, the causes of sleep apnea are almost all dental in nature. 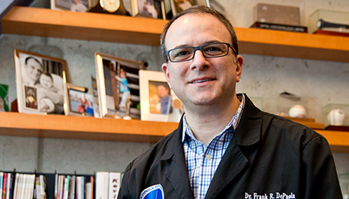 In order to help patients who are living with this condition, Hoboken and Jersey City dentist Dr. Frank R. DePaola maintains the Center for Dental Sleep Medicine, which specializes in the diagnosis and treatment of sleep apnea. Take the first step towards better health and schedule a consultation with the center by calling 201-792-9400 today. The most common form of sleep apnea is obstructive sleep apnea, in which your breathing stops because the airway in your throat closes during sleep. This blockage can occur due to several physical factors: the muscles in the throat and tongue relaxing too much; the size of the neck, tongue, uvula, and tonsils; even the position in which you sleep. To discover what will help most in your particular case, it's a good idea to learn more about the condition. For more information, you can schedule an appointment with the Center for Dental Sleep Medicine, located in the Hoboken area. We'll look at your case and run tests to ensure you are properly diagnosed, and we can give you access to the best medical technology currently available to treat sleep apnea, like the MicrO2 Sleep and Snore device. Because sleep apnea occurs when you are sleeping, it can be difficult to self-diagnose. Most cases of sleep apnea are caught because the patient's partner is kept up by snoring, or notices that the patient occasionally stops breathing. People who sleep alone are much less likely to notice the condition. However, there are other symptoms of sleep apnea that can be used to determine whether or not you are affected. If you are experiencing one or more of these symptoms, you should visit the Center for Dental Sleep Medicine in Hoboken and schedule a sleep apnea screening as soon as possible. Snoring, the main symptom of sleep apnea, is not generally considered dangerous. Most people think of it as a minor nuisance rather than something that requires immediate medical attention. But sleep apnea can have major consequences for your long-term health if left untreated, and increases your risk for many life-threatening conditions. Sleep apnea can also be related to conditions like obesity or alcoholism. In some cases, treating these conditions can help reduce your sleep apnea symptoms. But often, treating your sleep apnea is the most important step to greater overall health. A good night's sleep is essential to long-term health, and you won't feel rested if your body spends the whole night struggling for air. Because sleep apnea can be so detrimental to your health, it is important that you get the best possible treatment for your particular case. The causes and severity of sleep apnea can vary wildly from person to person, and what works for one person might not for another. Fortunately, the sleep apnea specialists at the Center for Dental Sleep Medicine are experts in determining the exact cause of your sleep apnea, and they work closely with dentists from Dr. Frank's Hoboken practice to ensure your condition is treated with the appropriate tools. You may try a few different approaches before landing on the ideal solution, but the center has so many treatment methods available that you're certain to find one that works. Not only will we find the sleep apnea solution that is right for you, we will follow up with you and ensure that there are no further complications from the device. Some patients find that certain treatment options create other difficulties - for example, a CPAP machine may be too loud and keep them awake - and when these arise, we will work with you to find a lasting solution. If you think you may be suffering from sleep apnea, then schedule an appointment with the Center for Dental Sleep Medicine today! Contact us through this website or by calling 201-792-9400. 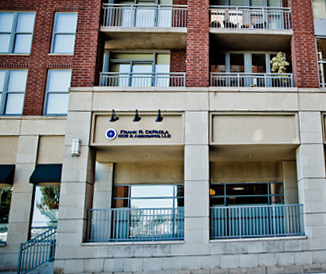 We serve patients living in Hoboken, Jersey City, and Hudson County, New Jersey.